It is estimated that there are more than 10,000 species of ants living in all parts of the world. Their main colors are red and black. Ants are social insects, meaning that they live in colonies. A colony includes the queen, female ants and male ants. Queen ants are the biggest in the colony, and their main duty is to lay eggs. 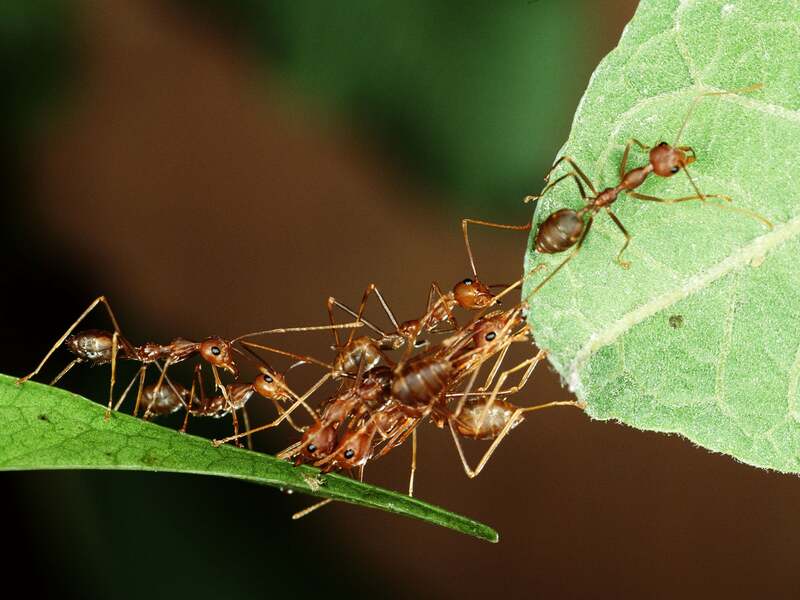 Female ants take on the roles of both workers and soldiers because their primary mission is to find food sources, build and repair the nest, and protect their territory. Male ants only survive for the purpose of mating. Then, once their mission is complete, they die. Ants’ habitats are diversified, ranging from underground mounds to holes in plants or trees. Like many other insects, under freezing conditions they become inactive. Why Should We Get Rid of Ants? In general, ants are beneficial to the environment. Their nests underground function as tunnels, allowing plants to soak up air and moisture better. Moreover, many ants are predators of some insects that attack your gardens. At the same time, ants are important for pollination and seed distribution. Sound like good guys? They can be, but few people are willing to welcome them as distinguished visitors. Nobody wants their food to be spoiled and carried off. Ants also carry some acute diseases and bacteria, which can lead to cases of food poisoning. More seriously, fire ants and harvester ants can sting people and animals. Being stung can be extremely painful, so this article aims to tell you a few different ways to get rid of ants. Ant spray is one of the most common products on the market. 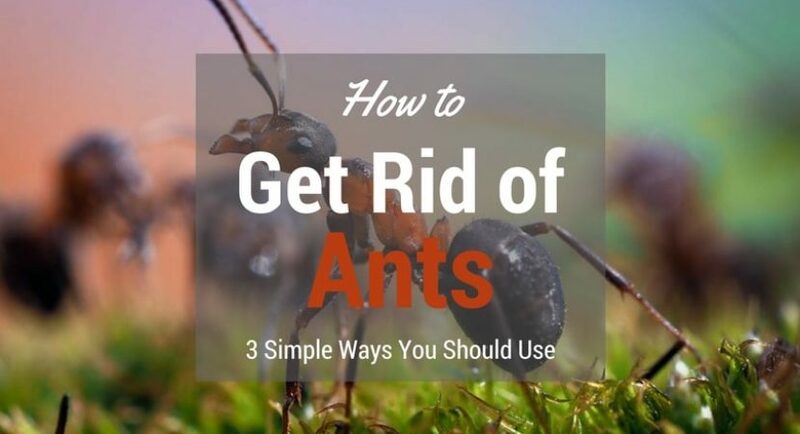 Spray it on trails, holes, nests and potential entry points to get rid of ants from your house. If you have observed long lines of ants, spray the product directly onto them and repeat this method if re-infestation occurs. According to the professionals, using insecticides is the best method to use for large outdoor areas. Insecticide sprayer provides long-lasting residual control for up to 6 weeks. It can be of practical use both indoors and outdoors. It comes in a handy, portable and easy-to-use spray bottle. Besides ants, many pesky creatures like crickets, scorpions and spiders cannot freely invade your house if you use ant spray regularly. What do you think about making your own ant spray with natural ingredients? Do you have any clove, orange or peppermint in your garden or pantry? If yes, then don’t hesitate to make some for yourself. We humans find the smell of these herbs and spices quite relaxing. However, for ants, they are so offensive that they don’t want to come near to them. Why don’t you try this organic method? However, both organic and inorganic ant spray has the same disadvantages. Because they only act on contact, they can’t kill the queen, the source of the entire colony. This is why after a time, you may begin to see ants again. The trick is to spray at regular intervals to control the ant population. Baits are available on the market in both liquid and solid forms. Both liquid ant baits and solid ones are made with insecticides, a chemical used to kill insects, and a food source to attract the creatures. The ants are attracted to the food and take it back to the nest, along with the poison. Depending on the food-sharing ability among the colony members, the poison should also eventually reach the queen. The question is, how do you ensure that your bait will be eaten by the ants? First and foremost, you must identify the type of ants that are infesting your house. Second, match the ant bait you purchase to the type of ant. For example, Combat Max Ant Killing Gel, one bait using protein as the food source, can help you get rid of little black ants because this species adores protein. Third, for the best effect, you ought to put liquid ant baits and solid ones near ant trails and be sure not to spray any insecticides around them as this will prevent ants from approaching the bait. It is critical to remove any competitive food, because it can make your baits less attractive. Above all, be a little patient, as it sometimes takes a while for the ants to find the bait. Ant baits have two drawbacks. In the first place, ants are smart, and they can become accustomed to poisoned baits in a short time. As a result, you will probably have to frequently change the bait types. In the second place, as we mentioned before, it can take a while before the ants thoroughly transfer your baits to their colonies. However, keep in mind that although it is a slow process, it is very effective in the long term. Compared to ant spray, many people prefer ant baits to get rid of ants because they offer a more enduring pest solution. It will be worth your patience in the long term. Glue ant traps are another excellent way of capturing and killing a large number of crawling insects. All you need to do is to remove the protective backing from the glue surface of the trap and place them in an appropriate position. Wait until you can see that a large number of ants have been trapped, then remember to change the glue trap when it is full. This is a great fire ant killer! The weak points of this method are that ant traps, like sprays, only kill workers, so this is therefore also a temporary solution. Nonetheless, using ant traps does have a wide range of benefits. They are convenient and easy to use. They are safe and pesticide free, consequently, they can’t put your kids and pets in danger. Taking everything into consideration, getting rid of pesky ants is difficult but not impossible. When you have an ant infestation, we have seen that there are three main solutions to choose from: ant sprays, ant traps and ant baits. All these products are widely available online and in the shops. No matter which product you choose, you should take their pros and cons into account in order to make the best choice for your needs. 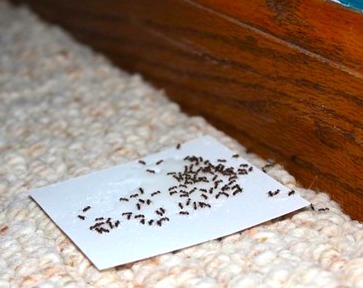 We hope this article has left you with some useful tips on how to get rid of ants from your home environment.